Give up the bottle! Our friends at Ethique are on a mission to help you give up the bottle…the shampoo, conditioner, lotion, and body wash bottles, that is! Yes, just think about all the waste there is from those empty bottles. We hope that they are at least recycled, but why contribute to this waste when you can go bottle-less. 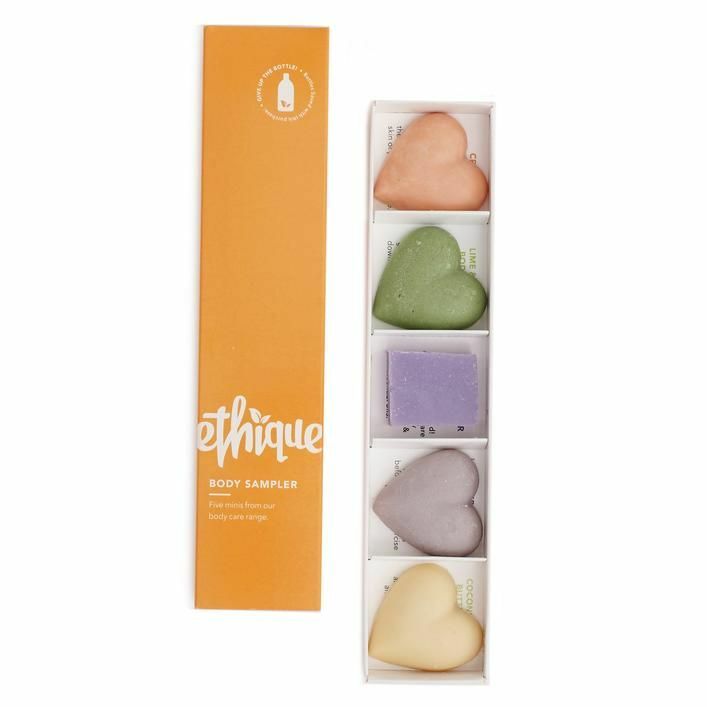 Ethique has some great skin and haircare products that come in bar form, and their Body Sampler gives you an introduction to their creme and foaming bodywash bars, body polish, solid deodorant, and body lotion. The bodywash bars are made with coconut butter and essential oils for a hydrated cleaning. The body polish is made with creamy cocoa butter, luscious lime and polishing pumice and is especially nice scrubbing tired feet. The solid deodorant helps prevent body odor and reduces sweat without any aluminum and baking soda. The body lotion is a solid body butter with organic cocoa butter, organic coconut oil and essential oils with no synthetic fragrances, giving you soft skin with no greasiness. All this comes in a packaging that is free of acid, chlorine, laminate and plastic, so it’s completely compostable. Check out Ethique and go bottle-free!